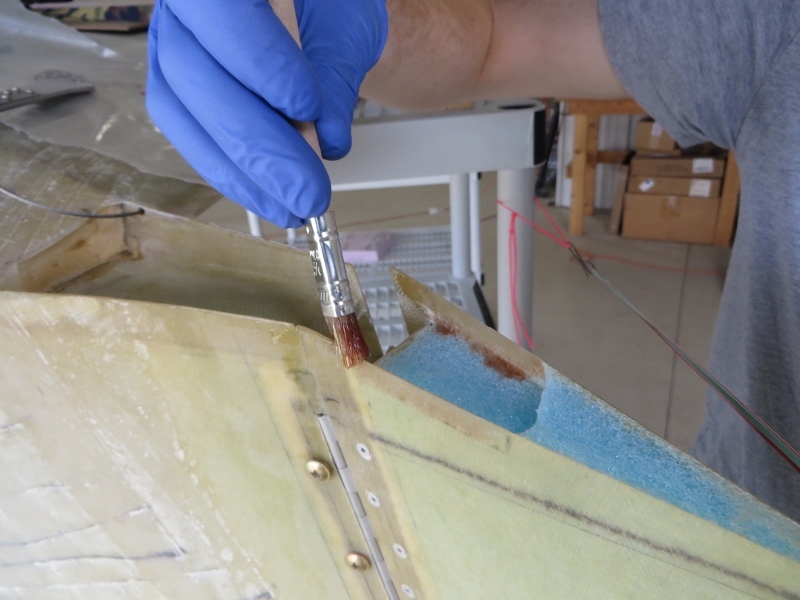 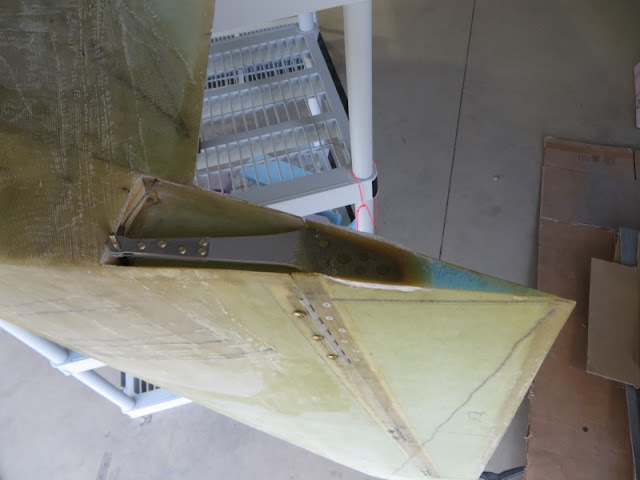 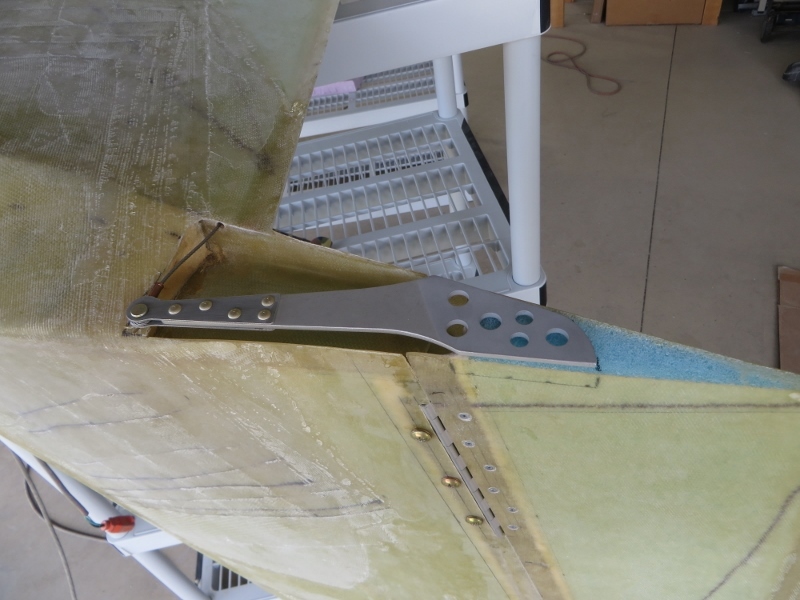 The "high performance rudders" are actuated using a similar belhorn as the original Long-EZ rudders... where the belhorn sticks outboard of the winglet... exposed to the air stream. Someone came along and asked, "Can we hide the belhorn INSIDE the winglet?" 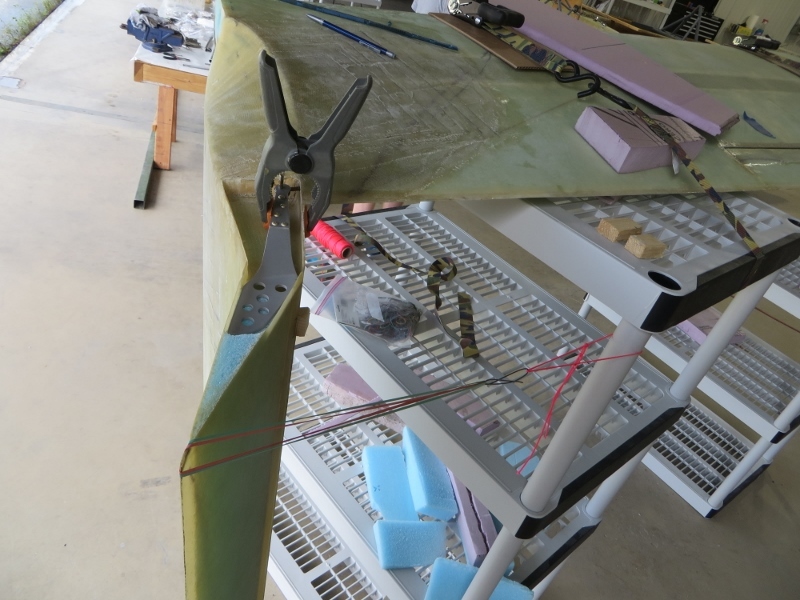 They did, and came up with the "internal rudder belhorn". 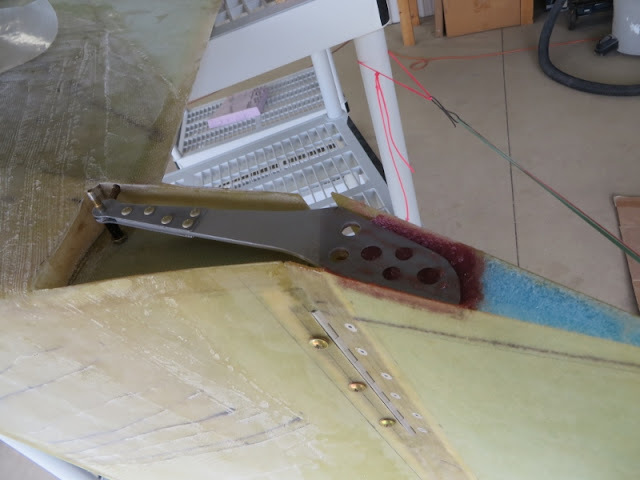 The problem with implementing the internal rudder belhorn into my airplane is that I had decided to not install a lower winglet. 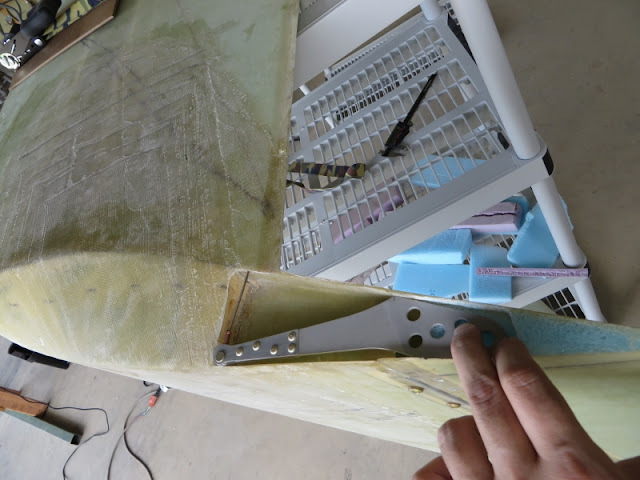 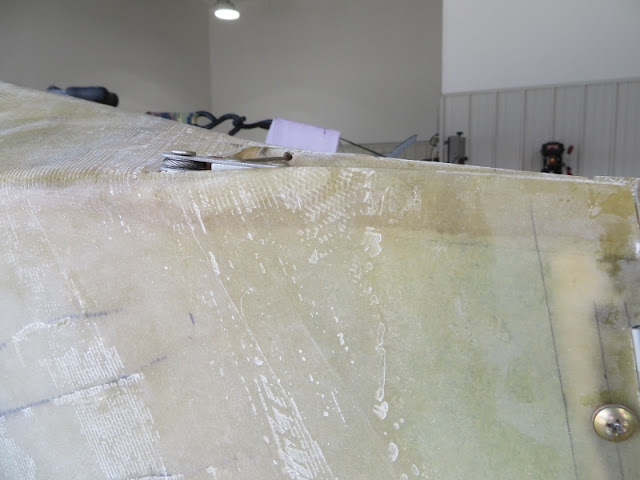 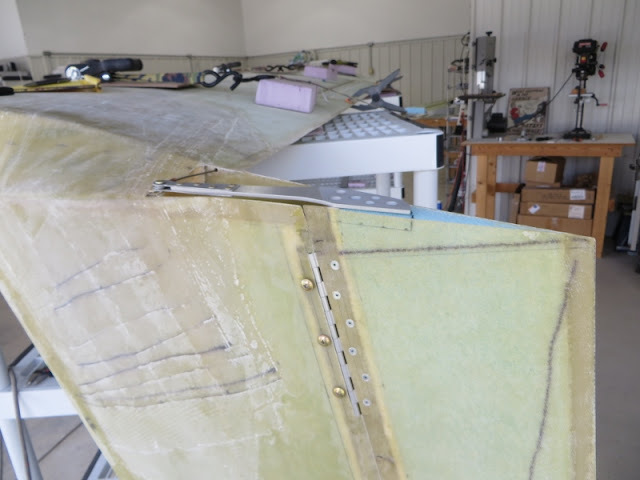 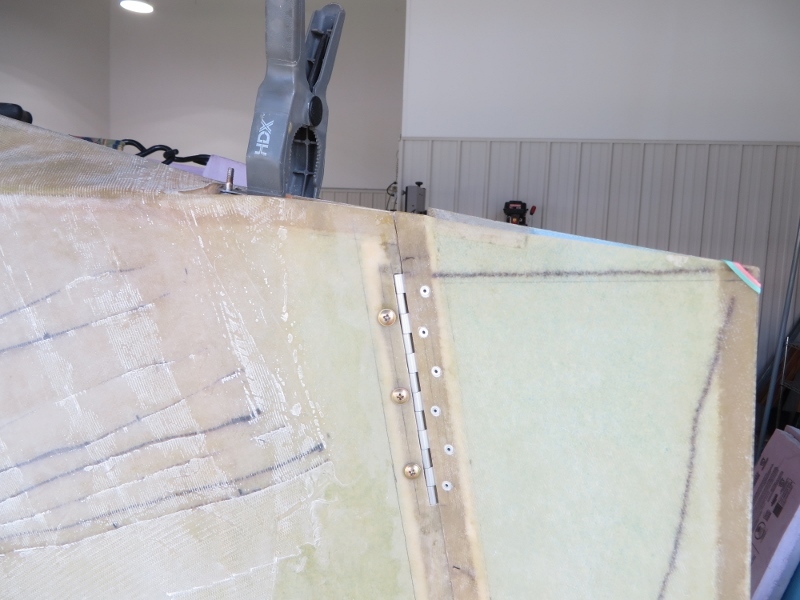 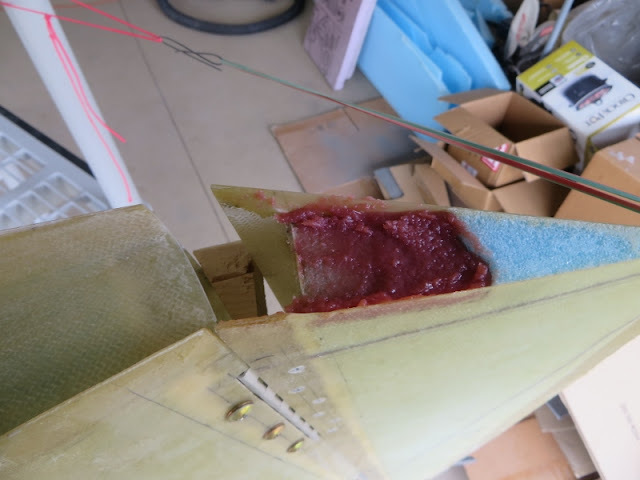 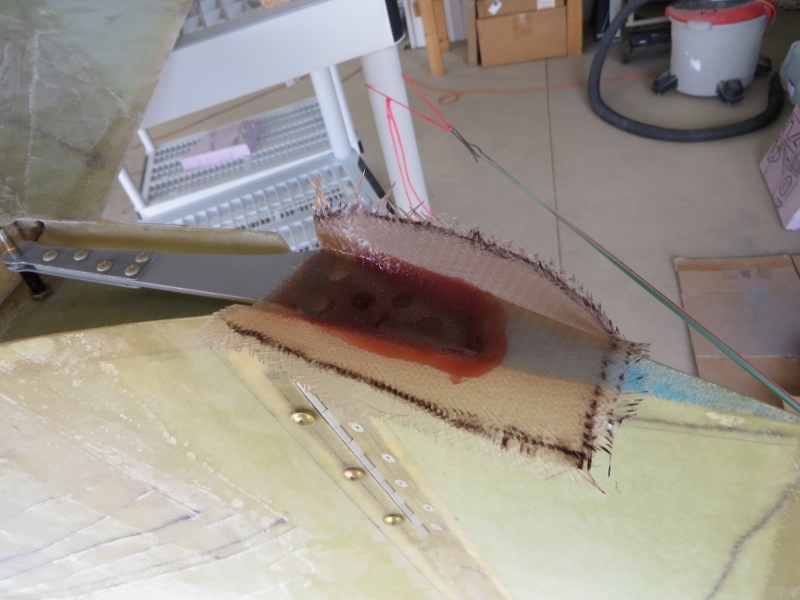 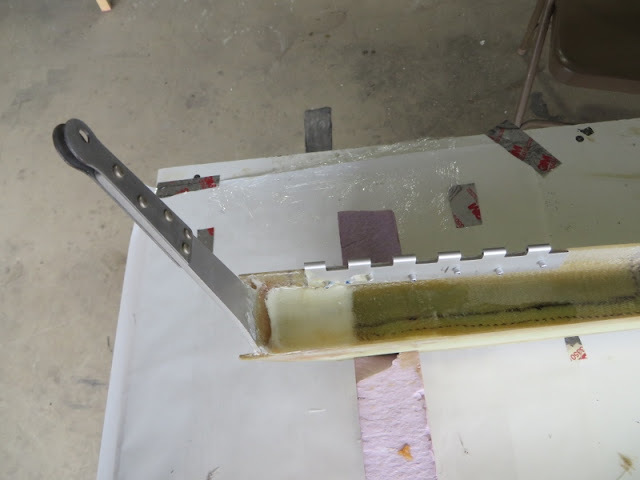 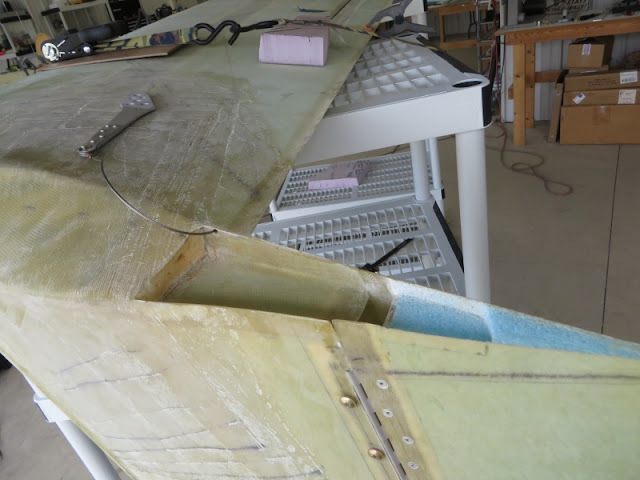 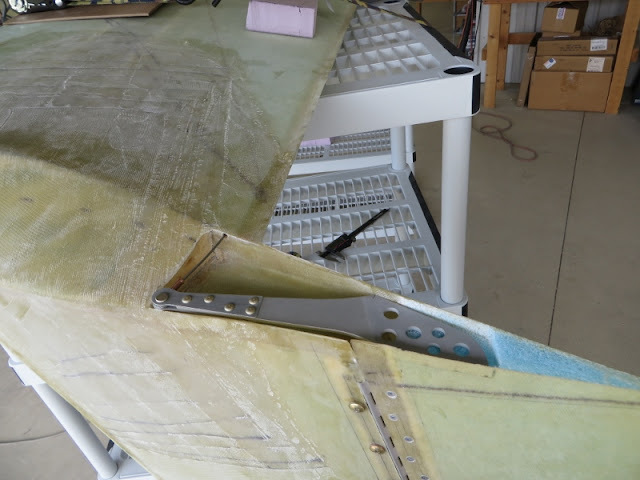 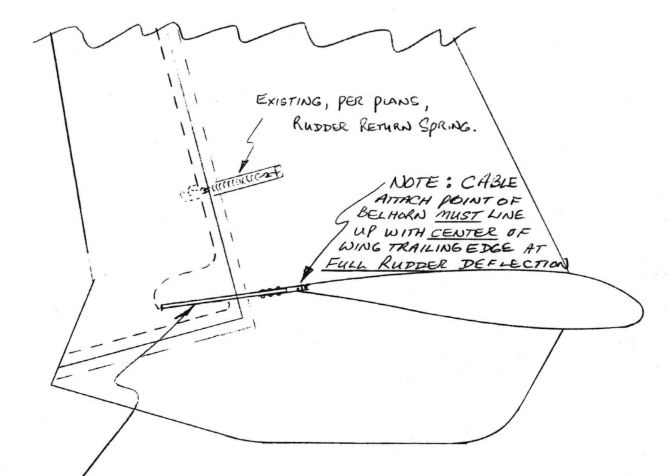 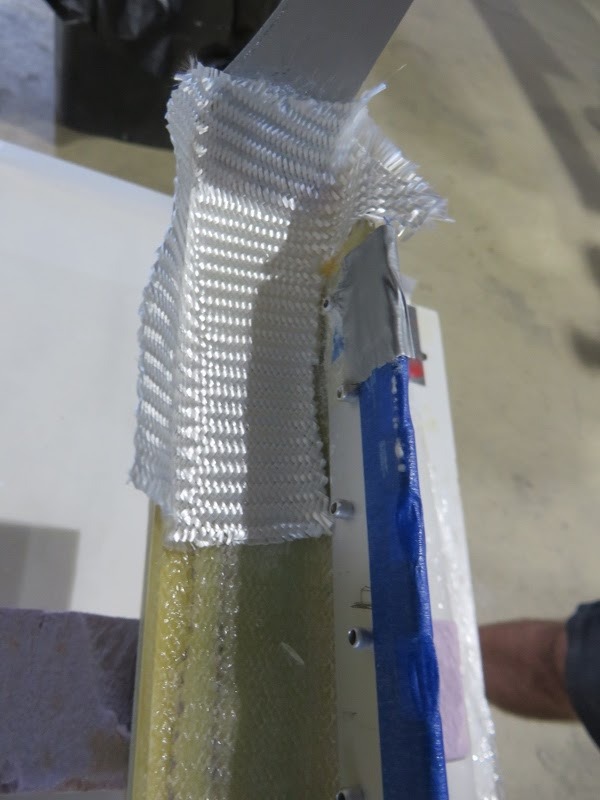 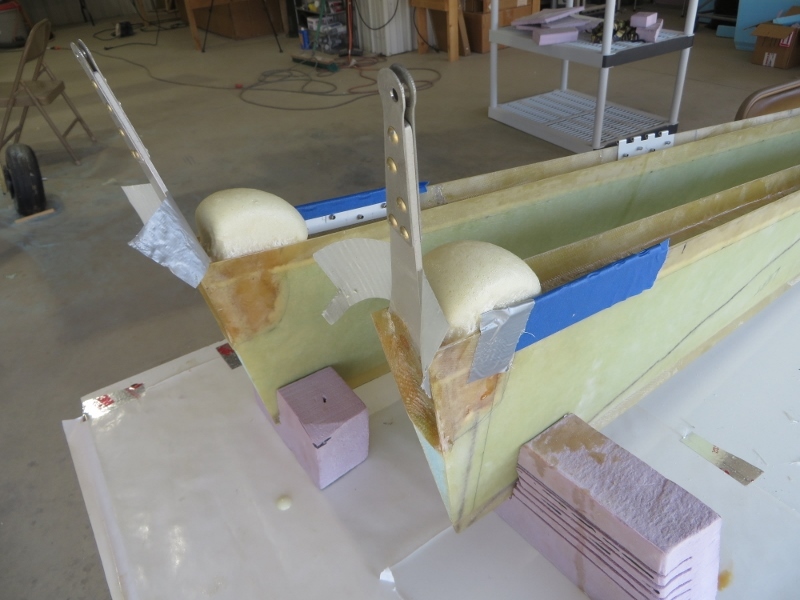 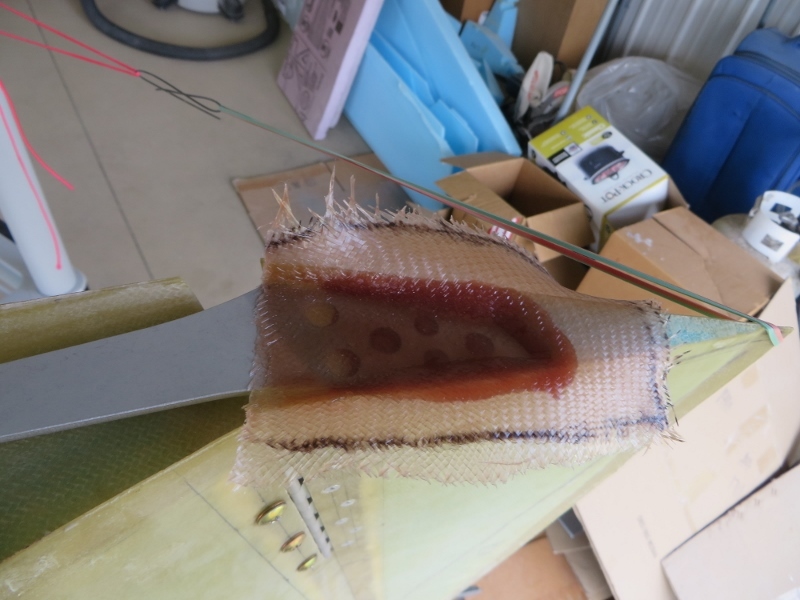 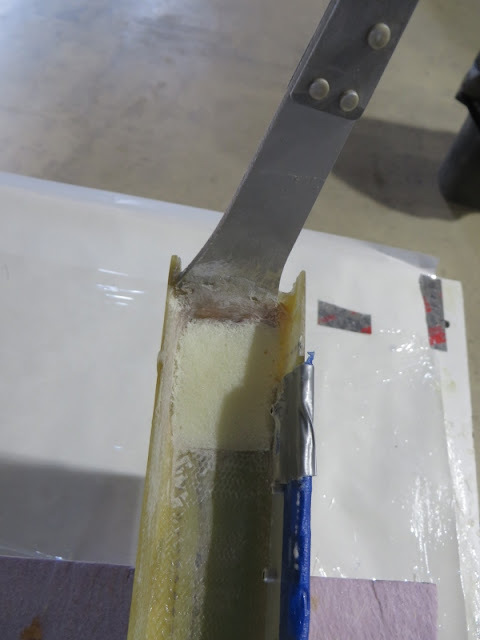 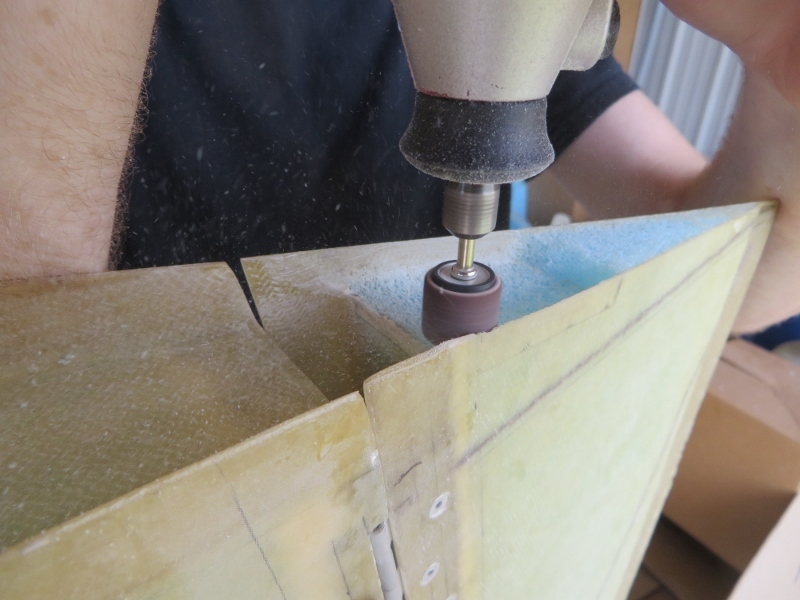 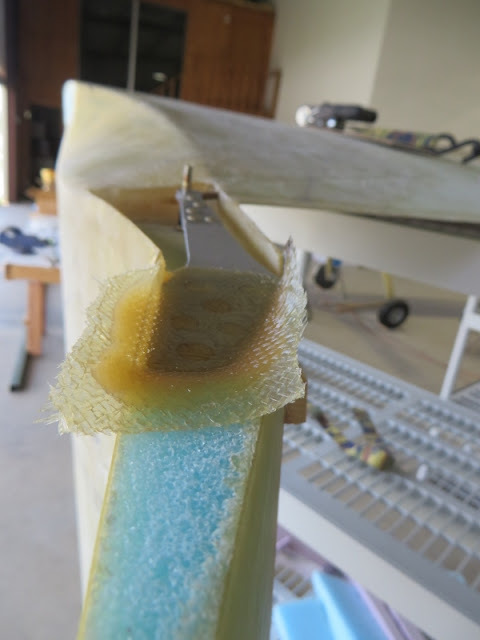 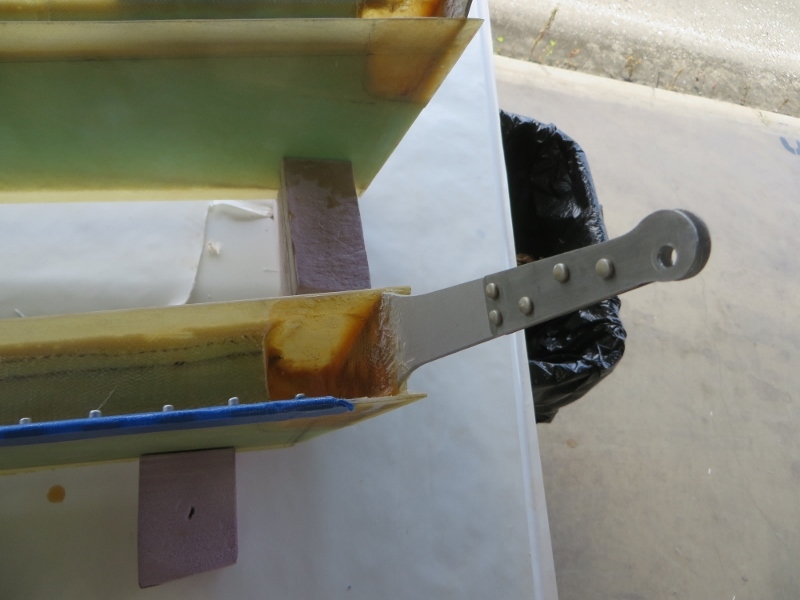 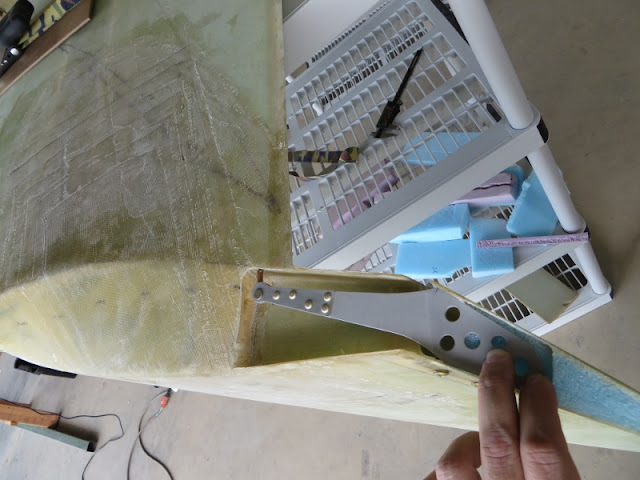 This meant that I didn't have the luxury of milling out a pocket (as indicated in the "internal rudder belhorn" plans) since my rudders don't extend as far down if I would have installed lower winglets. And positioned the belhorn in place... noticed I had inserted a bolt through the tip of the belhorn with a spacer under it so that it would hold the belhorn at the perfect height! I then prepregged 3 plies BID... and placed it on top. 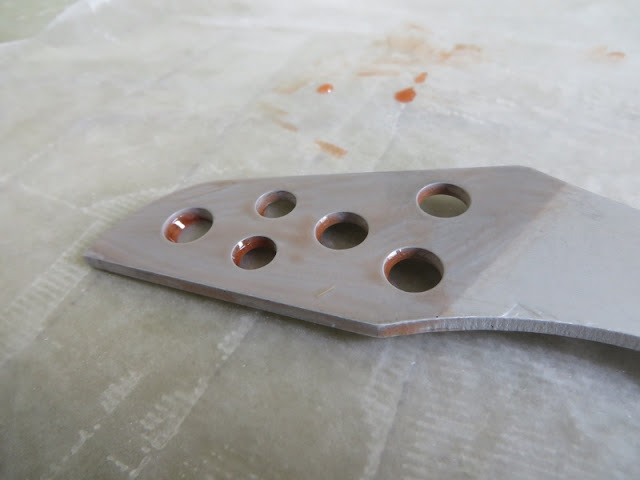 After cure, I trimmed up and sanded the sides flush. 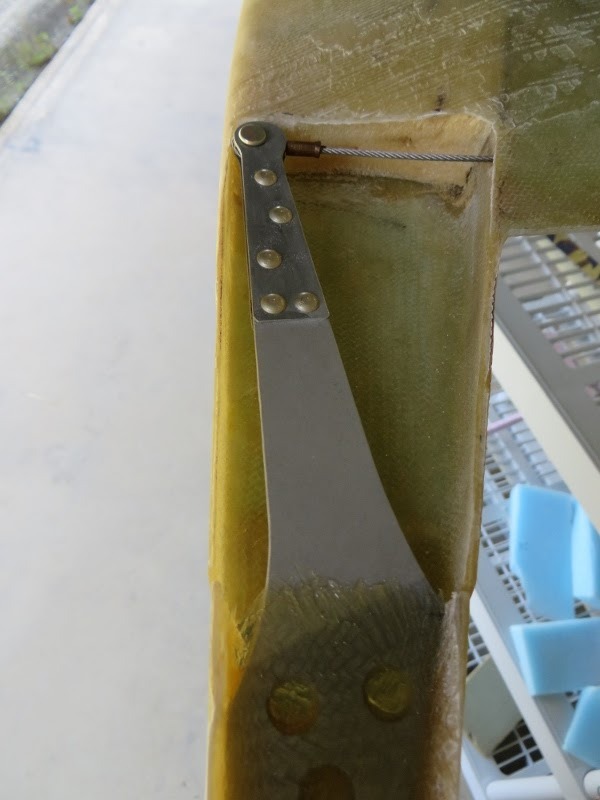 This however does NOT complete the belhorn install. 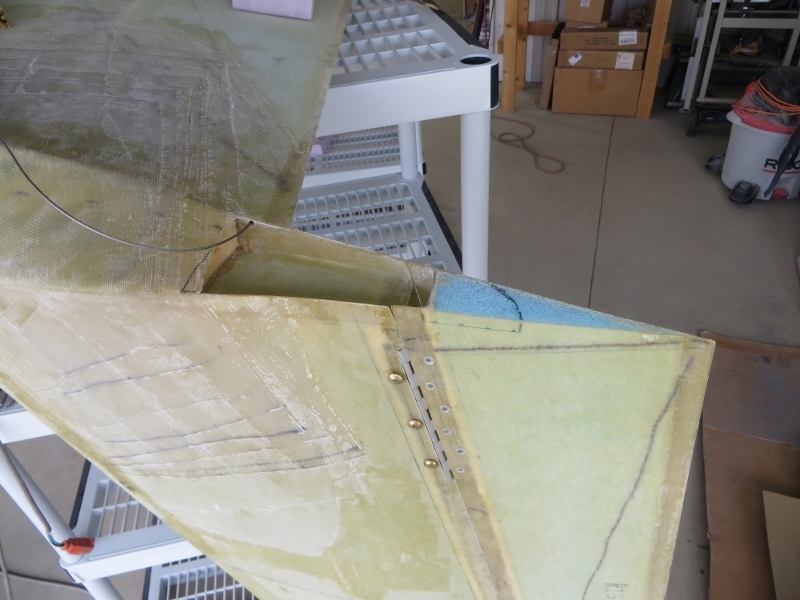 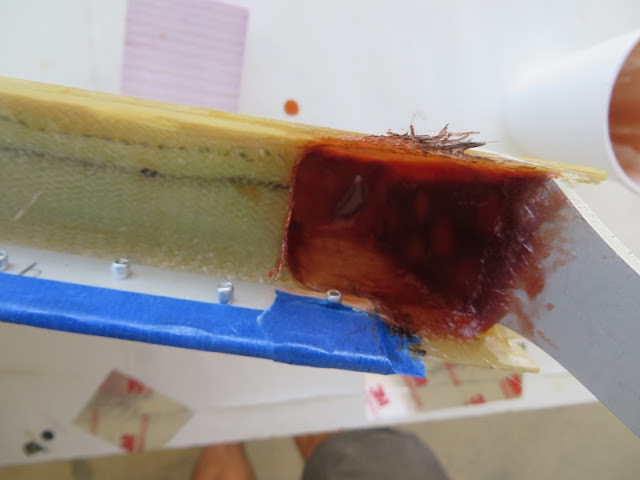 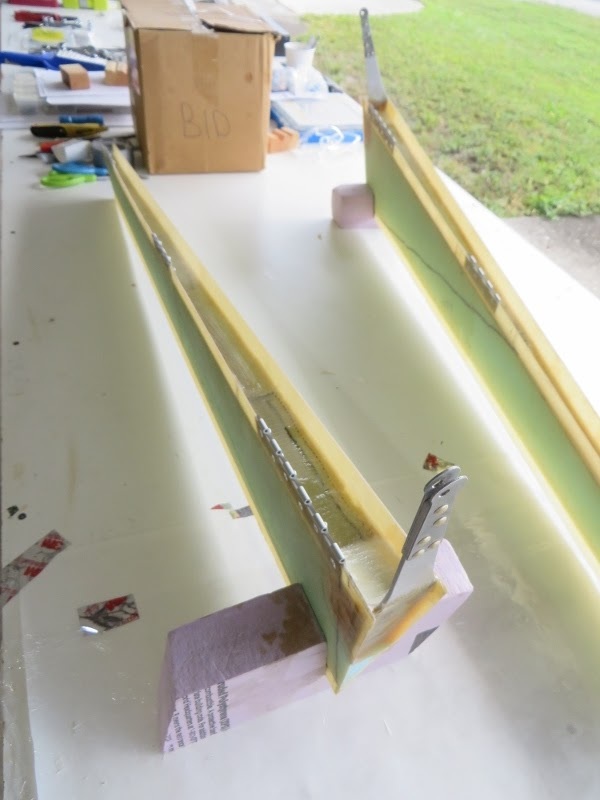 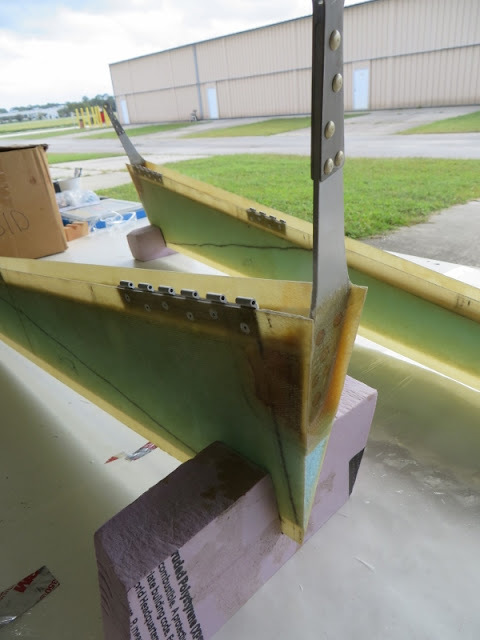 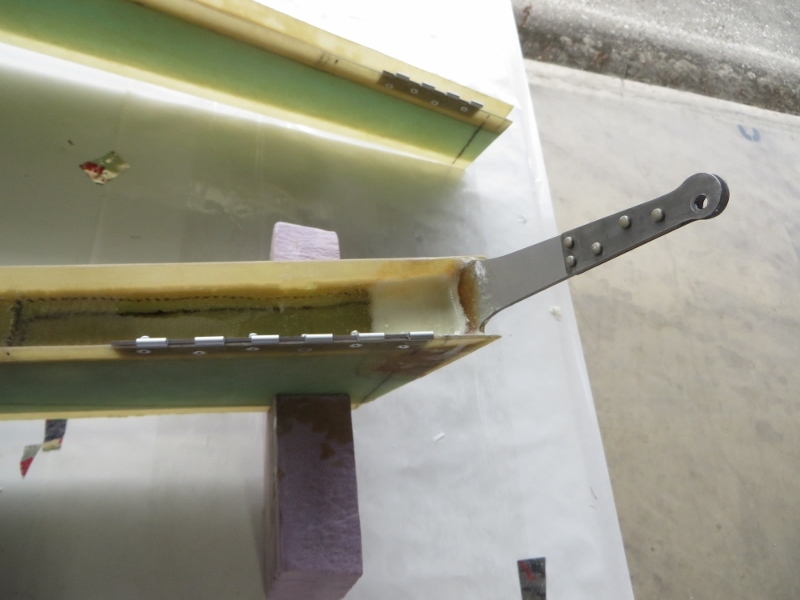 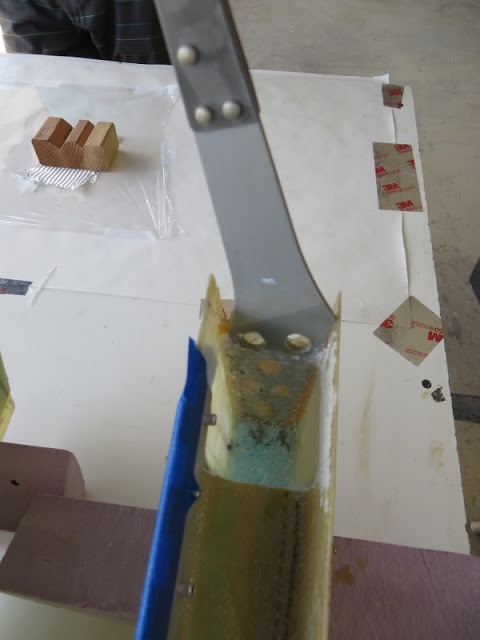 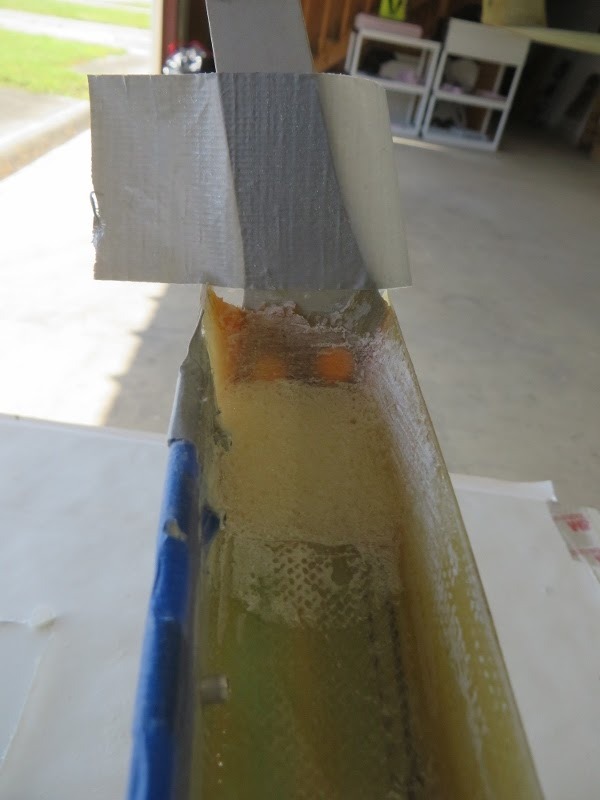 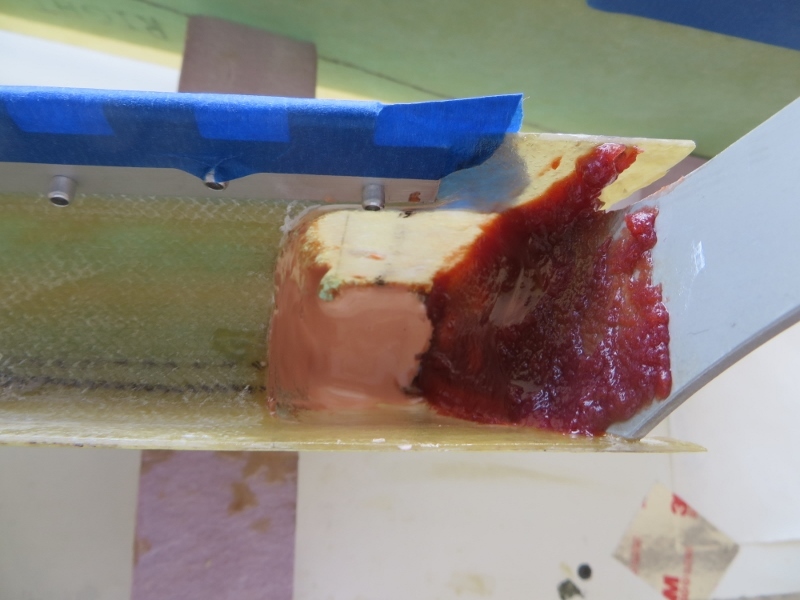 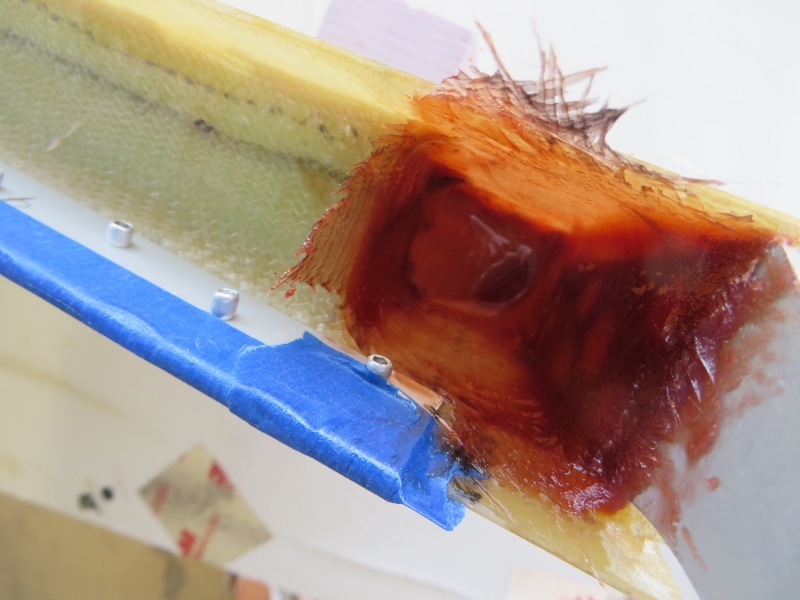 The "internal rudder belhorn" plans say to lay 2 plies of BID @ 45 lapping 1" onto the rudder skins on both sides. 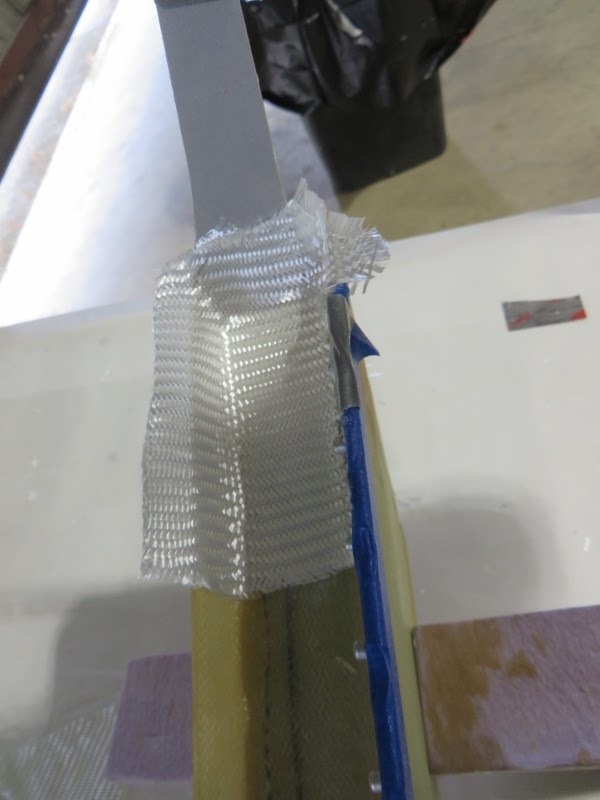 This layup was simply to "lock" the belhorn in the correct position. 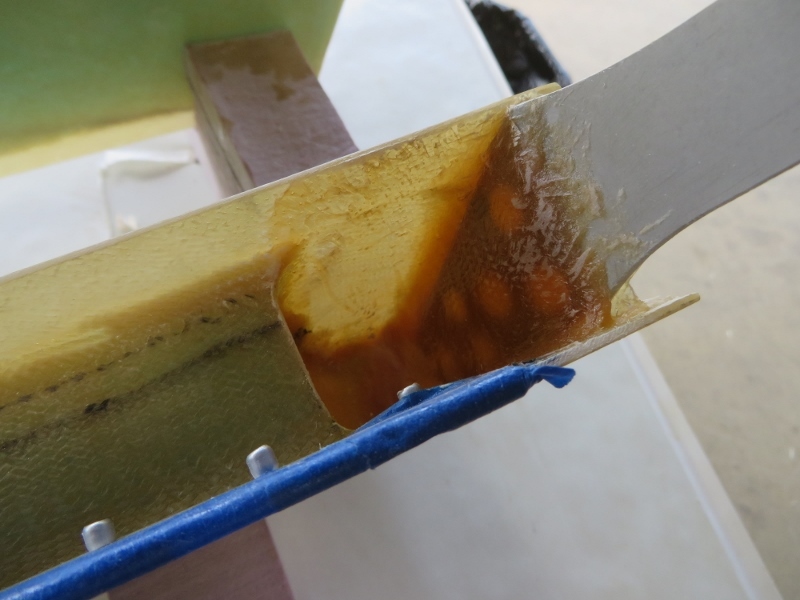 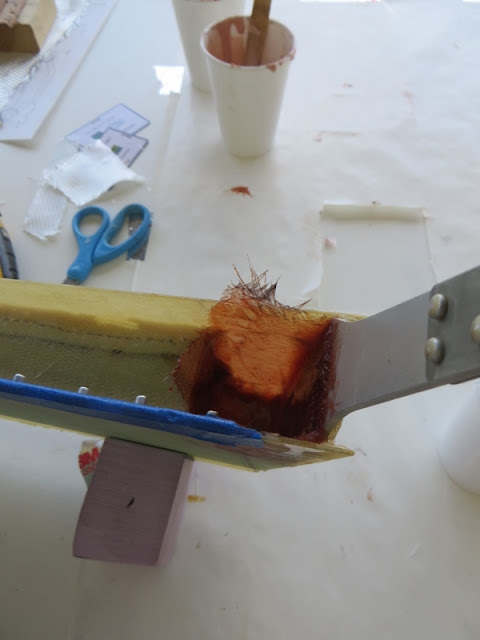 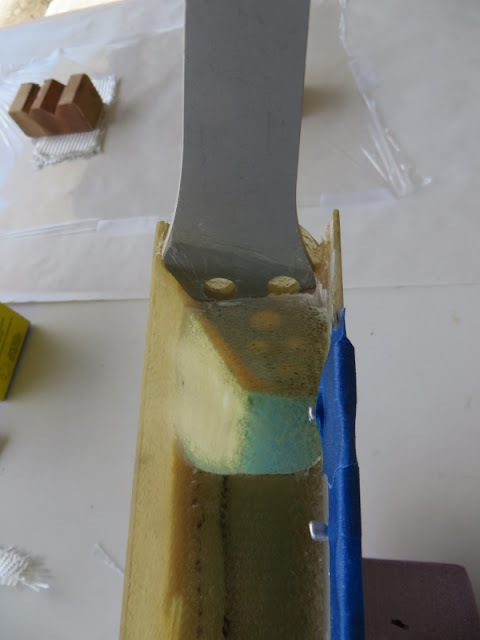 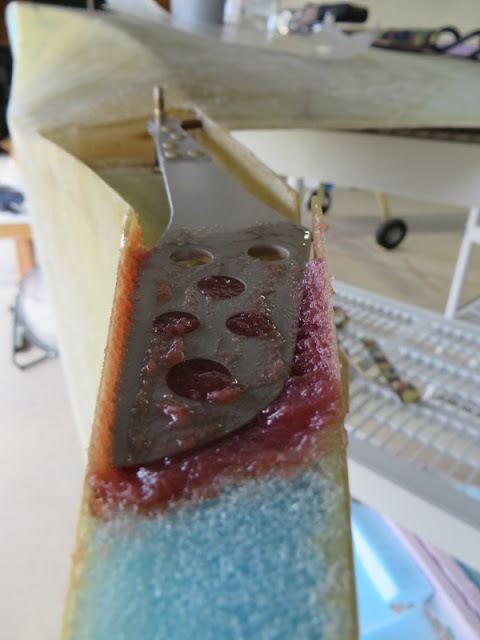 And that I did get the full travel of the rudder as required... perfect! 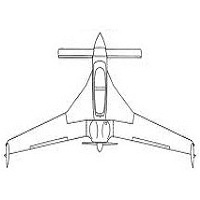 And there you have it!! 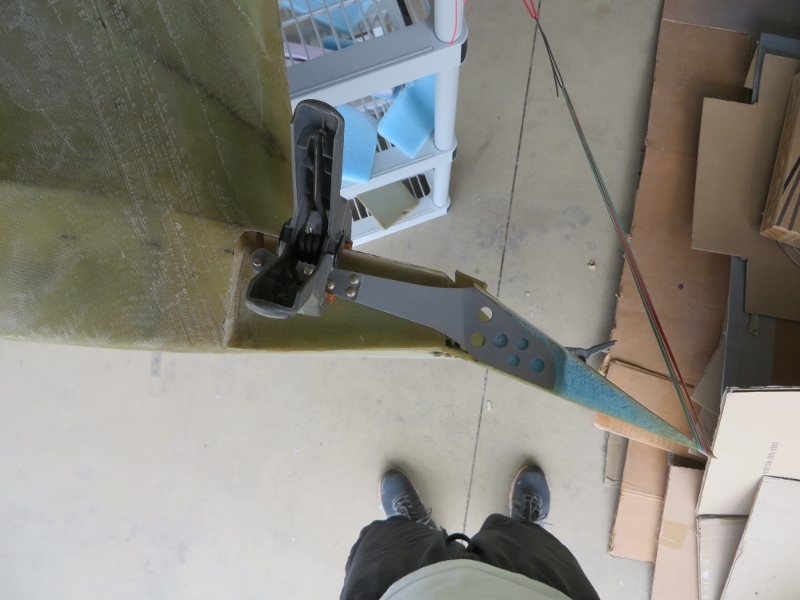 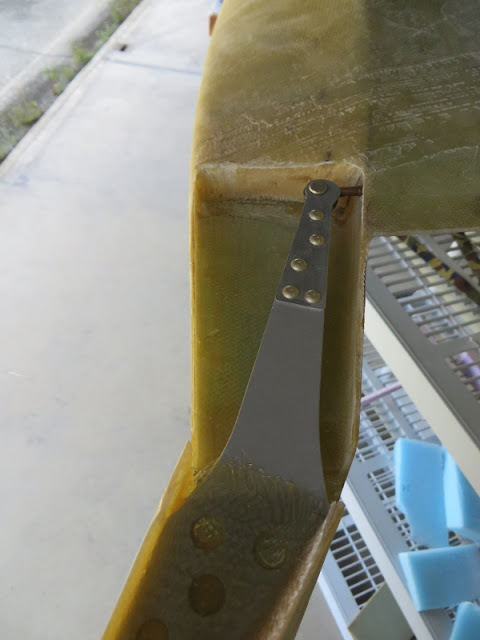 Rudder belhorns are installed! I will fill the bottom of the rudders and lay a ply or two of BID later! But from a structural point of view, these belhorns are good to go!